← Elon Musk Wants to Send People to Mars…in 2025! Seth MacFarlane, best known for Family Guy and Ted, but also the executive producer of the recent Cosmos series has a new live-action science fiction show this year that is described as a “love letter” to Star Trek. This is The Orville. I’ve waited for a few episodes in to do a review of this one. I don’t like to judge a TV show by its first episode or two. Indeed, it often takes a whole season for a show to find its feet—a phenomenon also known at Early Installment Weirdness. But now that we’re five episodes in, I feel that I can make a fair assessment. Imagine the first two seasons of Star Trek: The Next Generation with occasional sitcom jokes. That’s The Orville. This is, on the whole, a good thing. This is no accident, either. The Orville is very consciously styled on The Next Generation. We have a robot science officer, a super-strong alien security officer, a pair of ex-lovers in the command chairs (though in this case, it’s the captain and first officer for comedic effect), and the overall look and feel of the sets is clearly inspired by the Enterprise-D. And like classic Trek, the ship both explores strange new worlds and also tackles weighty real-world issues (albeit sometimes better than others). MacFarlane himself takes the starring role in this show as Captain Ed Mercer, but the ensemble cast is strong all around. And the behind the scenes talent is just as strong. He’s even had big Star Trek names directing episodes, including Jonathan Frakes (Will Riker), Robert Duncan McNeill (Tom Paris), and Brannon Braga (longtime Trek producer). And I’m not kidding about the Star Trek comparison. I wrote before with Star Trek: Discovery that I miss the optimistic, exploratory science fiction that Star Trek long embodied. 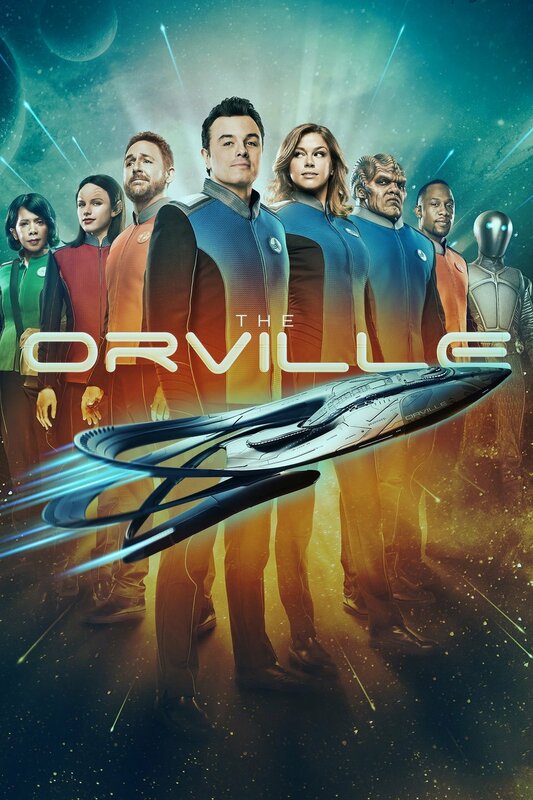 You don’t see enough of that anymore, but The Orville does it as well as Star Trek did a lot of the time, and the way things have been the last few years, dare I say it, The Orville is a better Star Trek than Star Trek right now. Despite blistering critical reviews, I am with the large majority of the audience who really like it. My biggest criticism of this show is the sitcom-y jokes. They’re not plentiful enough or, honestly, funny enough to make it a true parody, while they feel out of place on a show that otherwise feels so much like the actual Star Trek, leaving the show feeling like it’s stuck in the middle. On the whole, though, the storytelling is very good. There are some low points, of course; the characterization of Lt. Commander Bortus’s male-chauvinist planet of Moclus as a parody of conservatives was just too Anvilicious for me to take. But on the other hand, there are some brilliant high points. For example, Alara’s character arc in the second episode as an inexperienced officer thrust into a command position was really well done, not to mention the punchline at the end of that episode, which was easily the funniest of the whole series so far. There are some problems, to be sure, but I really hope The Orville can find its niche and succeed as a show. The ratings so far are comparable to Star Trek: Enterprise and the later seasons of Voyager, and with just a little tweaking, it could become a truly great show that fills a void that has lasted for too long on television; and so, I wish Seth MacFarlane and everyone else on the show good luck. This entry was posted in Science Fiction, TV Reviews and tagged Seth MacFarlane, The Orville. Bookmark the permalink.